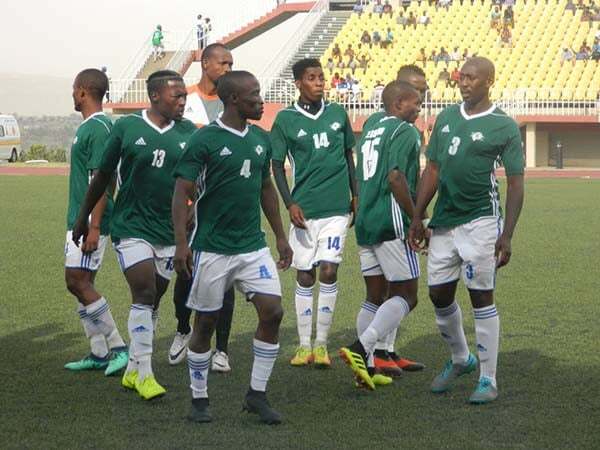 MASERU – The stakes are high, and Lesotho desperately want to make history and qualify for the 2019 Africa Cup of Nations (Afcon) Cup, this is why the national team Likuena has been promised hefty bonuses if they thump Cape Verde on Sunday. Each player has been promised a windfall to the tune of M22 000 in the event the team emerges victorious in a do or die meeting with the Blue Sharks of Cape Verde in West Africa. The unprecedented bonuses, according to King’s Counsel Salemane Phafane, president of LeFA are meant to steer the charges into action and prompt them to thump Blue Sharks. Breaking down the sums, KC Phafane says M16 000 of the money is for winning the game while the M6 000 is the camping allowance raised for this particular campaign. This, KC Phafane shows, is additional to the players’ camping allowances, which have been raised to M6 000 for this particular campaign. The bonuses Phafane says are courtesy of both LeFA and the ministry of sports. “We want them to win. We are not interested in a draw because we have no idea where it will take us,” Phafane told a press briefing at LeFA headquarters at Bambatha Tšita on Tuesday this week. “If they draw, we will give each an additional M6 000 (on top of their camping allowances) but if they beat Cape Verde, each player will pocket M16 000. That means each player will go home M22 000 richer,” he said, adding that LeFA was doing everything possible to prepare the team for the Cape Verde match. Apart from the costly incentives, he said they have paid for flight tickets to Cape Verde worth M7 000 per player. Likuena have been training in Pretoria, South Africa at the high performance centre since last week to beef up their preparations. They left for Cape Verde on Wednesday. Phafane, however, said one of the major challenges was the long route to Cape Verde, adding that the 13-hour flight would entail flights from Gauteng to Doha, then Casablanca, Morocco before jetting to Cape Verde. “It is actually the best and shortest route. Otherwise they would have to use airlines to several countries before they finally arrive at their destination, which will be a long route,” Phafane said. He said the 13-hour travel includes a four-hour rest in Doha and three more in Casablanca. In total, he said LeFA spent between M500 000 and M600 000 to prepare for the weekend match. This is the last game of the 2019 Afcon qualifiers and a must-win for both Likuena and the Blue Sharks. Likuena must definitely beat Blue Sharks to qualify for this year’s Afcon competition to be held in Egypt from June 21 to July 19. Kick-off for the tie is at 16:45 and Tanzania play Uganda the same day in Group L grand finale. All three teams have a chance to qualify and join Uganda Cranes at the continental showpiece, depending on who has the rub of the green on. If Likuena qualify, this will be the first time in history that Lesotho make it through to the tournament. The team head coach Moses Maliehe has already named his final squad for the Sunday meeting. Likuena are currently sitting in second position with five points after a single victory, two draws and two losses. They are behind Cranes who have already made it through after collecting 13 points from five matches. The once mighty Cranes, who dominated football in East and Central Africa in the 1970s and 1980s, have won four and drawn once. Likuena have equal points (five) with the Taifa Stars of Tanzania who are on third position. The latter, however, have conceded two goals less than Likuena who have let in seven. But because of the two teams 2019 Afcon head-to-head, Likuena find themselves sitting above Tanzania. This is after Likuena beat the Taifa Stars 1-0 at home in the first leg of the qualifiers in November last year. Likuena were held to a 1-1 draw at home by Cape Verde in the two teams’ first leg qualifying match at Setsoto Stadium in September last year. “This upcoming game (against Cape Verde) is going to be tough for us because all three teams have equal chances to qualify,” said Maliehe in an interview. He said team spirit is currently high in camp although his charges are unlikely to play any friendly games ahead of the crucial Sunday match. “It is hard to find friendly games at the moment as most countries are busy preparing for the same Afcon qualifiers (and they don’t want to play against their opponents). “But the spirit is high in our camp, with every one of our players looking forward to the Cape Verde match,” Maliehe said. Likuena should be wary of Cape Verde though. Although perched on a remote Atlantic archipelago, the island nation has risen from obscurity to the point where, until three years ago, they were the top ranking team in Africa. But how? The obstacles standing in the way of the archipelago, 600 km off the west coast of mainland Africa, are many. The standard of league football isn’t that high and resources are limited – for instance teams based in Santiago, the largest island, all play in the same, old-fashioned stadium. Unlike football-mad Nigeria, with a population of 181 million, Cape Verde only has 500,000 people from which to source footballing excellence. In April 2000, Cape Verde were languishing at 182nd in the FIFA world rankings. They’d never qualified for the Africa Cup of Nations. But their soccer revolution started when the Blue Sharks won the now defunct Amilcar Cabral Cup, a competition among West African countries. Over the following 14 years Cape Verde moved into ascendancy, due in part to the – sometimes literal – groundwork of FIFA initiatives. In 1998 the nation had no grass pitches – now there are 25. It’s a soccer culture that humbled former colonial masters Portugal 0-2 in March 2015 and, but for fielding a suspended player, would have taken them to the World Cup in Rio in 2014. Caught in the dragnet of national team success is a generation of children hoping to emulate their idols. “Cape Verde is producing excellent players from the senior level down to the youth level,” says national team goalkeeper Nilson Batilha. Another challenge is talent retention. Batilha is one of the few national team players still based in Cape Verde. Most of his teammates have travelled abroad to play in other leagues in pursuit of glory. This exodus is mostly keenly felt in those who have turned away from the Cape Verdean national squad. Valencia and ex-Manchester United player Nani was born in Praia but opted to represent Portugal; Gelson Fernandes, once of Manchester City, plays for Switzerland. Soccer royalty such as former French international Patrick Vieira and Swedish legend Henrik Larsson could both have played for Cape Verde given their parentage. This is after the Mountain Kingdom boys were held to a 1-1 draw by the West African islanders at home in September 9 last year. Likuena are however, currently second placed in Group L of the Afcon qualifiers behind Uganda who have already booked a place in the Egyptian tournament after collecting 13 points from eight previous matches. But Lesotho are not necessarily comfortable on position two as they share equal points (five) with third-placed Tanzania, with Cape Verde a point behind. Two top teams from each group will make it into the main continental competition. Goalkeepers: Sam Ketsekile (LCS), Tankiso Chaba (Liphakoe), Monaheng Ramalefane (Matlama). Defenders: Nkau Lerotholi (LMPS), Basia Makepe (LMPS), Mafa Moremoholo (Lioli), Lesia Thetsane (Colombia College- USA), Thabo Sefuli (Real Kings- South Africa). Midfielders: Sepiriti Malefane (LCS), Setho Moshoeshoe (LCS), Ts’oarelo Bereng (Black Leopards), Luciano Matsoso (Black Leopards) Tumelo Khutlang (Black Leopards) Kefuoe Mahula (Matlama), Jane Thaba-Nts’o (Matlama), Hlompho Kalake (Bantu), Jane Ts’otleho (Louisville City- USA). Strikers: Raboama Koloti (LMPS), Nkoto Masoabi (Real Kings- South Africa), Motebang Sera (Matlama) Thapelo Tale (LCS), Rethabile Selonyane (Linare).